Fast and accurate autofocus lets you capture fleeting moments in stunning detail, thanks to a combination of innovative technologies. A total of 425 phase-detection AF points work in conjunction with contrast-detection AF to achieve a remarkable 0.02 sec. speed, while High-density AF Tracking Technology follows even erratically moving subjects. When extra-accurate autofocus is called for, such as when you’re taking macro shots, you can display a magnified view of the general area you want to focus on, then finely adjust the exact point of focus in the viewfinder or on the LCD screen. The camera’s peaking function colour-highlights the most sharply focused section of the entire image area when you’re using manual focus. Now blue has been added to the display’s other peaking colours (red, yellow and white) to improve the visibility of the focus peak areas when you’re doing the delicate focusing required for macro or portrait shooting. When you’re tracking a fast-moving subject, the camera’s improved automatic subject motion tracker uses a newly developed subject recognition algorithm that draws on colour, pattern (brightness), subject distance (depth) and face/eye information to recognise, and hold onto, your subject. Real-time Eye AF detects and autofocuses on the eyes of your subjects when you half-press the shutter. Either the left eye, the right eye, or auto can be specified, and when AF-C is set it maintains a stable focus even when part of the face is hidden, the face is backlit or the subject is facing downwards. Capture all the action with continuous shooting at up to 11fps (with after view), or 8fps (with silent shutter) and 8fps (for live view). Display lag has been minimised, and up to 116 JPEG (Standard) images can be shot, with group display available. Camera operability and access to various features while writing data have also been greatly improved. 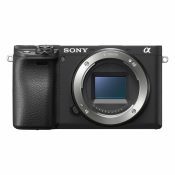 The camera’s APS-C size, 24.2-megapixel Exmor™ CMOS sensor provides a wide sensitivity range and excellent low-noise performance. 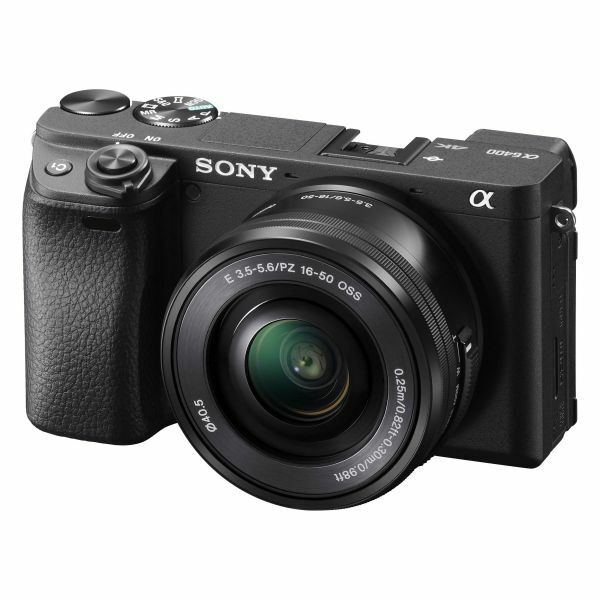 In conjunction with the new-generation BIONZ X™ image processing engine, it delivers beautiful, high-resolution images with superb image clarity and texture reproduction. Maximum standard ISO sensitivity has been increased to ISO 32000 (expanded to ISO 102400 for stills), while improved imaging algorithms, detail reproduction technology and area-division noise reduction result in more realistic textures, better detail in shadow regions, and more lifelike colours, including human skin tones and natural plant colours. Super 35mm format, 4K movie recording with full pixel readout and no pixel binning allows oversampling with approx. 2.4x as much information as is required for 4K (QFHD: 3840 x 2160), adding up to the equivalent of 6K and giving these images more realistic depth. High-bit-rate (max. 100Mbps) XAVC S format, a consumer-friendly version of a format for professional use, plus HLG support result in better-looking movies. S-Log shooting gives you flexibility to make more expressive movies by performing colour grading in post-production. The S-Log3 and S-Log2 gamma curves feature a wide dynamic range (up to 1300%) that can help minimise blown highlights and blocked shadows. The S-Log3 gamma setting also provides an impressive 14-stop latitude. Slow motion (up to 5x) and quick motion (up to 60x) can be recorded in camera in high-quality Full HD, and no PC-based post-processing is required to view your slow-motion and quick-motion footage. Additionally, high bit-rate recordings of up to 100Mbps in Full HD can be used to create high-image-quality slow-motion movies in post-production. External microphones can be attached via the microphone jack, and there is also an option for line input via XLR connectors using the camera’s separately available XLR adaptor kit, which enables connection with various high-end microphones for professional-level audio. Continuous shooting with a set interval between 1 and 60 seconds is now available within the camera, and the resulting still images can be edited into a time-lapse movie on a PC using the Viewer application from the Imaging Edge™ desktop applications. A simple variable-speed preview function allows you to see an image, on the camera, of how the finished movie will look. The high-resolution 921k-dot LCD has a 3.0-type screen and tilts upward a full 180° for easy framing of self-portraits and vlogs. 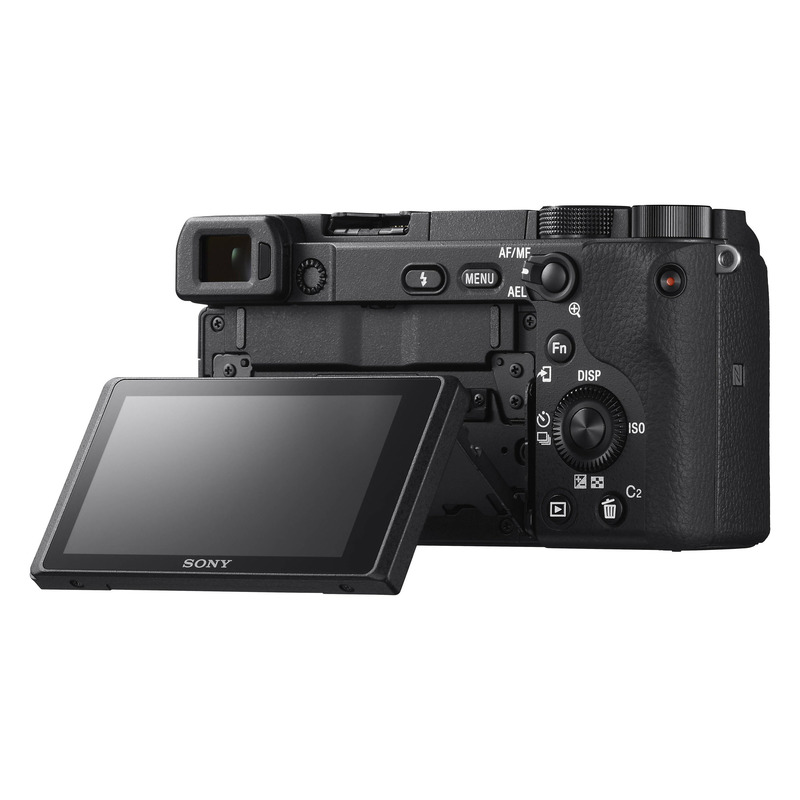 The LCD’s intuitive touch operations include Touch Pad (smoothly move the focus point), Touch Focus (set the focus point), Touch Shutter (release the shutter), and Touch Tracking (activate Real-Time AF). The high-contrast, high-resolution XGA OLED Tru-Finder™ provides high visibility, fine details even in dark areas, accurate colours and smooth displays at either 60fps or 120fps, with the framerate selectable for smoother viewing. 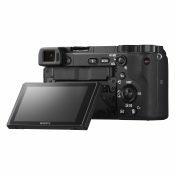 Standard and High quality settings are available for both the viewfinder and the LCD monitor. The camera’s eight keys and controls can be custom-assigned to any of 89 shooting and replay functions, and frequently used functions can also be assigned to the control dial and control wheel with My Dial. My Menu allows flexible assignment of 30 menu items, and the custom settings screen helps keep track of everything. Help displays are available on the menu screen via a single button. A new feature displays frequently used ISO ranges on the ISO setting screen, and another displays frequently used focus-area types on the AF area-setting screen. And when using Flexible Spot mode you can now cycle the AF area up, down, right and left – useful when shooting sporting scenes where the subject moves frequently within the AF area. If set in advance, auto white balance can now be locked or unlocked at any time, for more consistent colour tones when there are multiple light sources. Custom setting of white balance has been simplified, and you can now select an AWB priority setting when shooting with incandescent lighting – either warmer Atmosphere Priority, or White Priority for purer whites. When shooting with compatible wireless flash units, rear-curtain sync and slow sync can now be selected, increasing your creative options for lighting. Still images can be given a rating or protected from deletion, and both functions can be accessed via pre-assigned custom keys. The camera’s low-vibration shutter mechanism is designed and tested to withstand around 200,000 shutter cycles, and the body, top cover and front cover use a light but highly rigid magnesium alloy. Major buttons and dials are sealed, and casing components have an interlocked double-layer structure to resist dust and moisture. Elevate your photography with the Imaging Edge desktop applications. Use “Remote” to control and monitor shooting live on your PC screen; “Viewer” to quickly preview, rate, and select photos from large image libraries; and “Edit” to develop RAW data into high-quality photos for delivery. Get the best from Sony RAW files, and manage your productions more efficiently.